Yen ’til Two is the first beer in our lineup that started its life as something else. 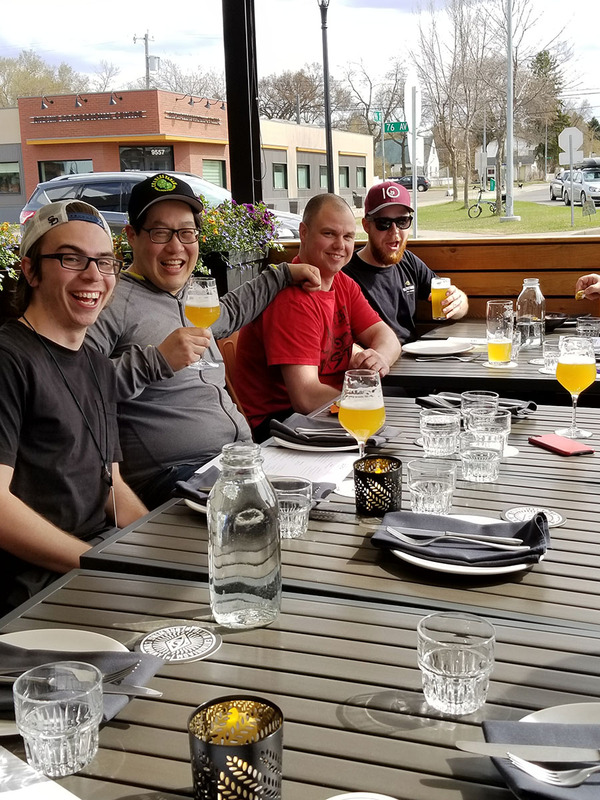 It was originally Ten ’til Two Jim, a beer we brewed for a Stollery Children’s Hospital Foundation Brewer for a Day auction. A generous donor named Jim won the opportunity to spend the day brewing with us, as well as helping to design the beer, and naming it. The beer was named Ten ’til Two Jim as that was a nickname given to Jim by his kids based on their impression of his typical work day. 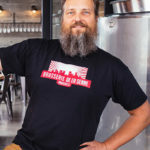 He elected to make a mixed grain beer that was brewed with barley malt, malted wheat, and flaked oats, fermented with a French Saison yeast, and then hopped aggressively (with Chinook and Hallertauer Blanc) to give it a clean, fruity lemon peel aroma. For each pour of Ten ’til Two Jim a dollar was donated to the Stollery Children’s Hospital Foundation, on top of his original generous donation to win the auction. Yen ’til Two looking pretty on the patio. 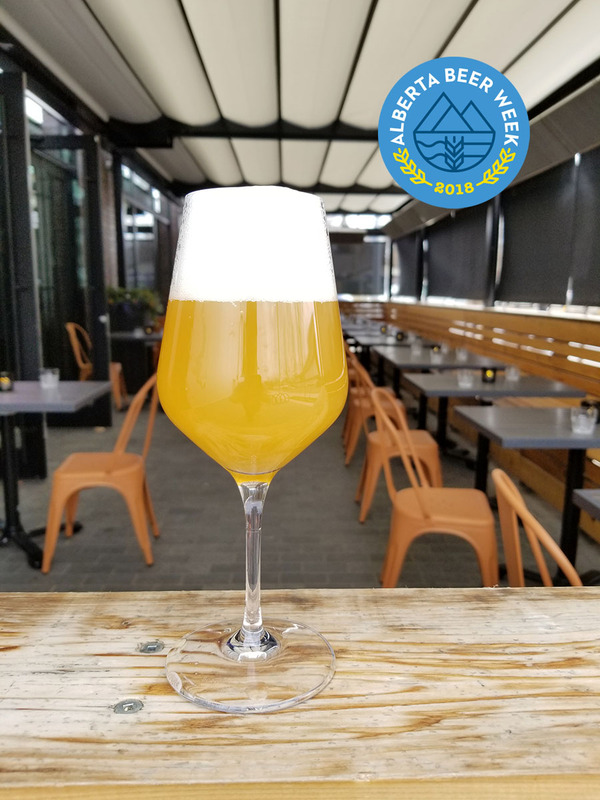 We liked Ten ’til Two Jim so much that after the batch was finished we modified the recipe slightly (swapping the flaked oats for flaked wheat) and brewed a different variation. We didn’t have a name for it as we wanted the original name to commemorate Jim’s donation, so we thought long and hard on a new name. We realized that one of our good friends always said Ten ’til Two Jim was his favorite beer, so we elected to call it Yen ’til Two. In his case, it commemorates the typical time we leave his house after a bottle share. We hope you enjoy this beer as much as Yen. Yen on the patio for the launch of his beer.